Delma Taylor and her husband Ed have been attending our Senior Program for longer than anyone. Delma was the one who’d lost her sight, and Ed came for support and to give it as well. A few years ago Ed’s sight failed too, and they kept coming. 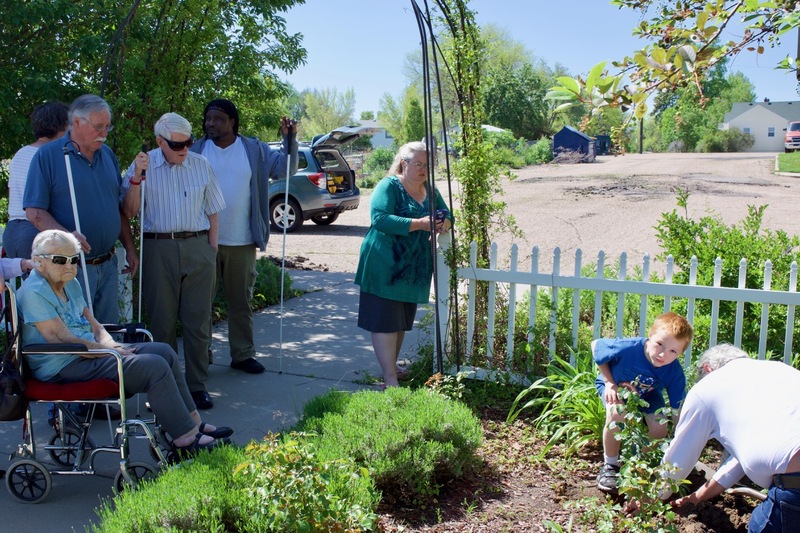 Ed passed away in April and, the day after Memorial Day, Delma and her son Ron came with family to plant a Peace Rose in our Legacy Garden. 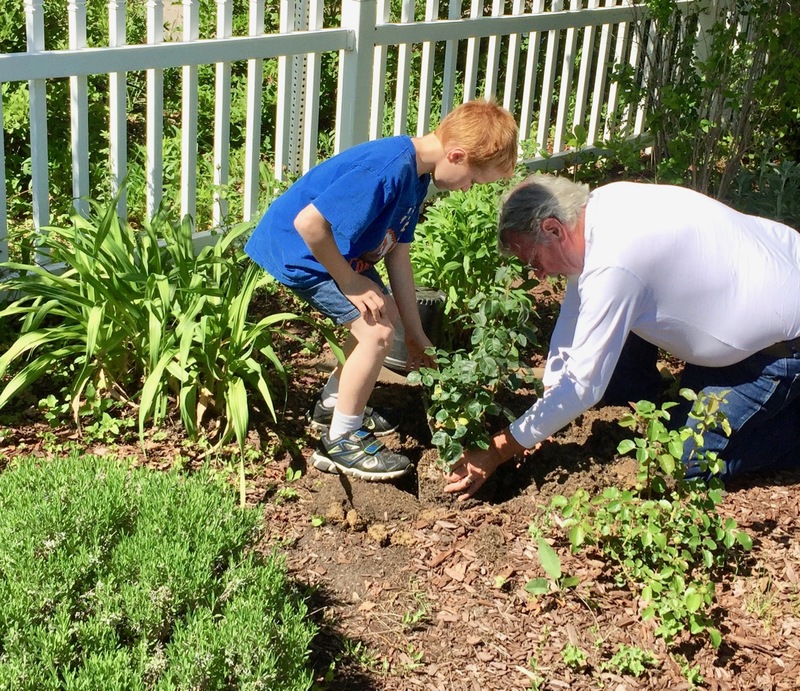 Duncan and some of the seniors came out to the garden as son Ron and great-nephew Isaac (shown in the photo above) did the digging and the planting. We send our sympathies to Delma and the taylor family for their loss, and thank them for the honor of having Ed’s memorial rose in our garden!